Alexis Sanchez played a starring role as Chile beat Venezeula 3-1 on Tuesday to boost their World Cup qualification hopes. The Arsenal forward opened the scoring with a magnificent curling free-kick after only four minutes to give Chile the lead against bottom team Venezuela. The forward was involved in the build-up for Chile's second goal for Esteban Paredes moments later as the hosts went 2-0 up after only seven minutes. Sanchez provided a headed cross to present Paredes with a goal-line header for Chile's third goal on 22 minutes to leave Venezuela staring at a heavy defeat. The visitors rallied bravely in the second half and pulled a goal back from a Salomon Rondon header in the 62nd minute. They then appeared to have made it 3-2 in the 71st minute when Tomas Rincon's long-range shot hit the underside of the crossbar and appeared to have crossed the line. The goal was not given, though, and Chile retained their two-goal cushion. Sanchez then had the chance to snuff out Venezuela's resistance but saw his penalty saved by teenage goalkeeper Wuilker Farinez in the 76th minute. 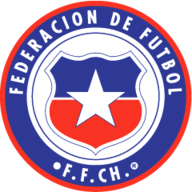 Chile's win lifted the Copa America champions into the automatic qualifying standings with 23 points from 14 games. Argentina, who were beaten 2-0 by Bolivia earlier Tuesday, are now down in fifth place with 22 points from 14 games. The first four finishers in the 10-team competition qualify automatically for next year's finals in Russia. The fifth placed team enters a playoff against an Asia side. Elsewhere, Real Madrid's James Rodriguez scored one goal and set up another for Juan Cuadrado as Colombia beat Ecuador 2-0. Uruguay suffered their third straight qualifying defeat as they were beaten 2-1 in Peru. 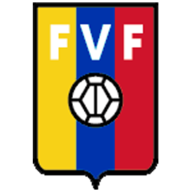 Carlos Sanchez gave the visitors the lead on the half-hour mark but Paolo Guerrero and Edison Flores replied for Peru either side the break. Jonathan Urretaviscaya was then sent off for Uruguay in the 76th minute.